Forces of HORDES: Circle Orboros Command provides the foundation every Circle Orboros player needs. It features a complete listing of all current warlocks and warbeasts released to date, in addition to two new warlocks, a new character warbeast, and a selection of core units and solo from the Faction. 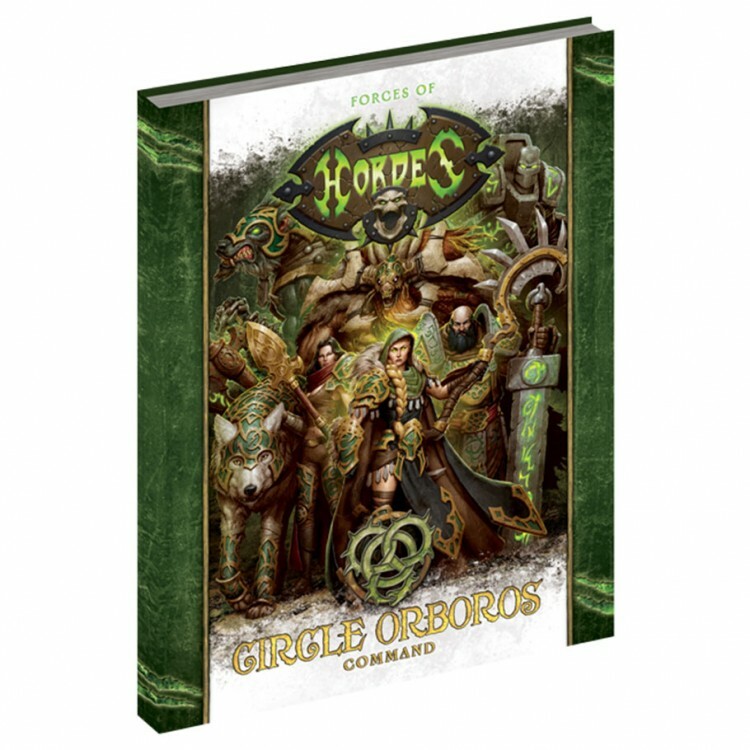 Forces of HORDES: Circle Orboros Command is an essential book for all Circle Orboros players. Command books are offered in two formats, and the hard cover versions are highly sought-after by serious collectors. Be sure to order enough copies to meet demand of your current community and provide additional stock for new acquisition, as Forces of HORDES: Circle Orboros Command is a great companion for players purchasing a Circle Orboros Battlegroup Box (PIP 72094).